Retail Therapy had always been a well-acknowledged therapy that all women across the world loves. I am sure men love it too. Every time you learn about a new launch, interesting merchandise or a new franchise opening in the city, you ought to check it out. It was no different when Japanese brand Miniso opened their store in Mumbai, India. Tell me a woman who does not love shopping? Ummm me for one but if you spare the efforts made while going shopping or shop hopping, you may actually count out and yet in. So, recently I went doing a mini haul at one of the most talked about stores off late- the Miniso Store. About Miniso: The Mini Store or the Miniso is a made in China, a Japanese chain of shops that stock different goodies from daily utility products to bags to cosmetics and more. I have been to their store in Delhi and Mumbai. and kinda liked exploring different cross-category products [Retail Therapy always works]. I had around 30+ minutes and in that duration, I braved the heavy rush at the store, checked some wannabe products, looking for my wishlist, stood in the long queue and finally came home with 2 bags full of Miniso goodies. 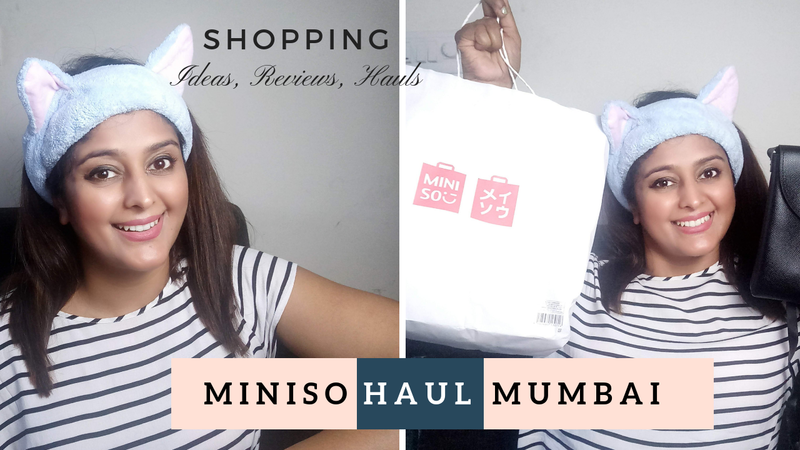 Wanna know all the different products that I bought from the Mumbai Miniso Store? Well, do check my Miniso Haul video on YouTube, or watch here. I have collaborated all my views and demos in a video for all my viewers. I hope you liked watching this video. If you do, do subscribe me on Youtube [Follow me on YouTube]. Let me know what kind of videos would you like to see on my YouTube channel. Currently, I am posting one video a week or 10 days. I shall be coming up with more videos soon. Also, do share your favorite product from this haul and if you have any queries with regards to any of the products. My favorite product[s] is obviously the cat ear headband, traveling pillow and the adult coloring book. Disclaimer: The video, pictures and the content are original and self-created. Any usage without permission will be treated as plagiarism and copyright violation. Let's be good to each other.